Tree planted in Paris suburb in honor of Jewish man tortured to death chopped down by vandals. A tree planted near Paris in honor of a Jewish man who was kidnapped and tortured to death was chopped down by unknown vandals, French officials said Monday night. Municipal workers who were sent to the memorial site for Ilan Halimi, a French-born Moroccan Jewish man who was murdered in 2006, found the site had been vandalized, with a tree planted in Halimi’s honor chopped down. The workers had been ordered to prepare the site for the anniversary of Halimi’s murder, February 13th. According to AFP, a second tree at the memorial had been partially cut with a saw. Local police have opened an investigation into the incident. France’s interior minister Christophe Castaner condemned the vandalism, calling it an attack on the French republic. 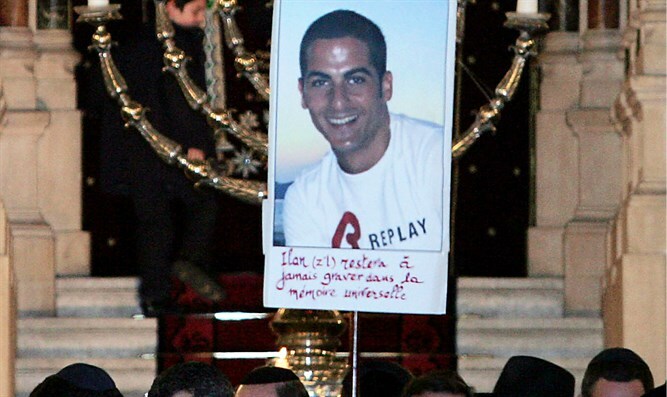 In January 2006, 23-year-old cellphone salesman Ilan Halimi, a member of France’s then-600,000-member Jewish community, was kidnapped by a Muslim gang. The gang reportedly targeted Halimi as a Jew, believing they could extract a large ransom from a Jewish family. Lured by a young woman who was working as an accomplice to the gang, Halimi was led to an apartment in Paris where he was ambushed and taken captive. Halimi’s captors demanded 450,000 Euros from his family, threatening to kill Halimi if they notified the police. Unable to pay the ransom, Halimi’s relatives alerted authorities. The gang held Halimi in captivity for 24 days, torturing and burning parts of his body while continuing to send messages to his family demanding money. After 24 days in captivity, the kidnappers dumped Halimi naked in a Paris suburb and left him for dead. The 23-year-old’s had been critically injured during the more than three weeks of torture, and 80% of his body was burned. Halimi died on February 13th, shortly after he was discovered.